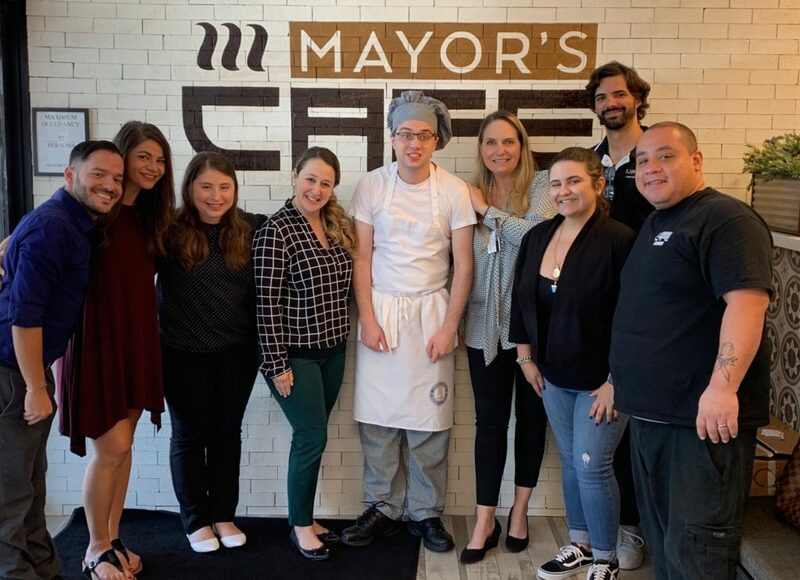 Mayor Cid had the idea to open his own Mayor’s Café while having breakfast at the popular Mayor’s Café in Pembroke Pines. During his visits, he often met Miami Lakes residents enjoying a sit-down breakfast. Researchers estimate around 50,000 young people with autism turns 18 every year. Is your organization read to train these new employees? 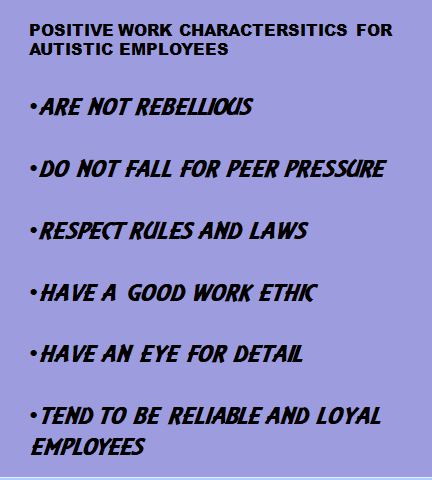 It is important to note that autistic employees vary in the workplace. Younger employees may have received a diagnose very early their childhood while those in their 30’s to 50’s were more than likely diagnosed as adults. Many in fact may not realize they are autistic due to lack of information during their formative years. This rings true especially for women who did not fit the typical stereotype of autism. The use of idioms, sarcasm, irony, metaphors and figure of speech may be difficult since most are literal thinkers. Due to sensory sensitivities, harsh lighting and certain smells may be intolerable. May feel anxiety working with groups during an activity, which includes role-playing and case studies. Some autistic employees have a history of being bullied, which for many have carried over into the workplace. Set rules in the beginning of the training that all participants should be respected. Have you ever conducted a training with employees where you experienced a participant interrupting you while you were talking, blurting out answers before you complete your sentence or appearing not to pay attention? 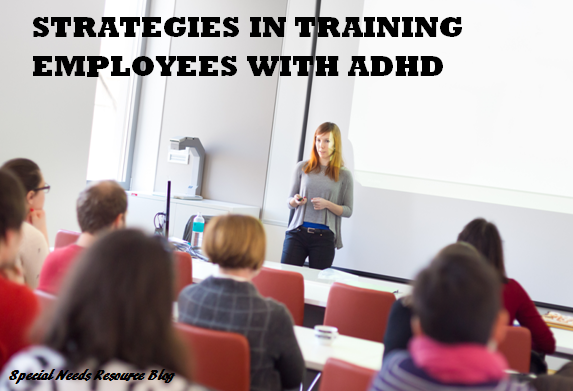 Chances are you may have an employee diagnosed with ADHD. Most people think of children when they hear the word ADHD, but the fact is that ADHD can continue into adulthood and as a life-long challenge. Currently, 4.4% of the U.s adult population is diagnosed with ADHD. Of these adults, 38% are women and 62% are men. Attention deficit/hyperactivity disorder (ADHD) is one of the most common neurodevelopmental disorders which is often characterized by a pattern of inattention/or hyperactivity/impulsivity that can impact workplace learning through making careless mistakes,the inability to complete a task, staying organized and excessive talking throughout the training. Typically, a person with ADHD, the difficulties lies in the part of the brain that allows people to perform higher level task known as the executive function. 90% of people with ADHD also have an executive function disorder. This is the part of the brain that engages in goal-direction and self-regulations. Workplace learning in most cases for the participant means learning new information, participating in training activities, sitting for a period of time and given direction. A participant with ADHD may have difficulty in sustaining attention and remaining focused during lectures. May have difficulty in grasping main ideas or details during the lecture. Become easily distracted by both internal (day dreaming) or external (noises) stimuli. May blurt out an answer before a question has been completed. May have difficulty in listening in environments with noise distractions. Difficulty in taking turn in a conversation. The upside is that often when a person with ADHD is interested in a topic, they may hyperfocus, meaning they will fully participant in group discussion, and show great enthusiasm for the subject matter. Vary instructions- auditory alone will not be effective, participants with ADHD will need visual aids as well. Create a leadership role such as assisting in setting up any training equipment and giving out training material. When possible, alternate between physical and mental activities. Stick to the expectation of the time. It will be difficult for the participant to sustain focus once a time of dismissal is given. Conduct a stretching activity for the group when possible, I would sometimes include a game of “would you rather.” This works great but should tie into the theme of the training. A diagnosis of ADHD also qualifies under the American Disabilities Act regarding workplace accommodations. 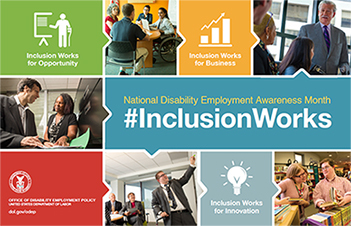 National Disability Employment Awareness is recognized each October to highlight the workforce contributions of people with disabilities. So much as been accomplished over the years, but still, we have a long way to go. In almost all states, the number of people working with disabilities is half of those without disabilities. This year, I wanted to reflect on how much has been achieved over the years. 1920- The Smith-Fess Act: Signed into law by President Woodrow Wilson, establishes the Vocational Rehabilitation program for Americans with Disabilities. 1935- Social Security Act of 1935- establishes an income system for those unable to work by providing benefits. 1936- Randolph-Sheppard Act: Signed by President Franklin D. Roosevelt in 1936, the Randolph-Sheppard Act mandates a priority to people who are blind to operate vending facilities on federal property. 1938- Wagner-O’Day Act:The Wagner-O’Day Act is passed, requiring all federal agencies to purchase specified products made by people who are blind. In 1971, the Javits-Wagner O’Day Act expands the program to include services as well as supplies and incorporate people with other significant disabilities. In 2006, the program is renamed AbilityOne. 1945- Declaration of National Employ the Physically Handicapped Week:The return of service members with disabilities from World War II sparks public interest in the contributions of people with disabilities in the workplace. On August 11, 1945, President Harry S. Truman approves a Congressional resolution declaring the first week in October “National Employ the Physically Handicapped Week.’ In 1962, the word “physically” is removed to acknowledge the employment needs and contributions of individuals with all types of disabilities. 1954- Vocational Rehabilitation Gains Momentum:Congress passes the Vocational Rehabilitation Amendments of 1954, increasing the scope of the VR system. Targeting people who could proceed or return to work with assistance, VR helps thousands of people obtain employment. Mary Switzer, Director of the Office of Vocational Rehabilitation at the time, uses this authority to fund more than 100 university-based rehabilitation programs. The Act also initiates funding for research, eventually leading to the National Institute on Disability and Rehabilitation Research. 1956- Creation of Social Security Disability Insurance: Congress passes the Social Security Amendments of 1956, which create a Social Security Disability Insurance (SSDI) program for workers with disabilities aged 50 to 64. Additional amendments two years later extend SSDI benefits to the dependents of workers with disabilities. 1973- The Rehabilitation Act:The Rehabilitation Act of 1973 marks a major step forward in legislation impacting the employment of people with disabilities, extending and revising state Vocational Rehabilitation services and prohibiting discrimination on the basis of disability by federally funded and assisted programs, federal employers and federal contractors. 1986- Employment Opportunities for Disabled Americans Act of 1986:The Employment Opportunities for Disabled Americans Act enhances work incentives for people with disabilities under the Supplemental Security Income (SSI) program by making permanent section 1619 of the Social Security Act, which provides for special SSI payments and Medicaid coverage while eligible individuals make attempts to work. 1990- Americans with Disabilities Act: President George H. W. Bush signs the Americans with Disabilities Act (ADA) into law. Modeled on the Civil Rights Act and Section 504 of the Rehabilitation Act, the ADA stems from collective efforts by advocates in the preceding decades and is the most comprehensive disability rights legislation in history. Its employment provisions prohibit discrimination in job application procedures, hiring, advancement and termination and provide for equal access to workers’ compensation; job training; and other terms, conditions and privileges of employment. 1992- Rehabilitation Act Amendments: Amendments to the Rehabilitation Act emphasize employment as the primary goal of vocational rehabilitation (VR). Specifically, they mandate presumptive employability, meaning applicants should be presumed to be employable unless proven otherwise, and state that eligible individuals must be provided choice and increased control in determining VR goals and objectives, determining services, service providers and methods of service provision. Is based on the individual child’s needs, taking into account the child’s strengths, preferences, and interest. Includes instruction , related services, community experiences, the development of employment and other post-school adult living objectives, and if appropriate, acquisition of daily living skills and functional vocational evaluations. What is the Transition Process? The transition process is designed to help students with disabilities move smoothly from school to adult life. Center for Parent Information and Resources– Webpage includes information on IDEA’s requirement on transition and how to include the student in the transition process. Disability’s.gov’s Guide to Student Transition Planning– Topical links on secondary education and transition, transitioning to adult health care and options for life after high school. National Association of Special Education Teachers– Great webpage on a variety of topics relating to transition planning including, overview of transition services, types of services covered, recordkeeping, employment planning, travel training, assistive technology and residential placement options. National Parent Center on Transition and Employment– Website includes information on middle and high school transitioning planning including, IDEA, IEP, college planning and several worksheets on preparing for employment and transition planning. Understood– article on understanding the transition process. WrightsLaw– This page contains loads of information on transitioning planning including articles on IEP and transition planning, legal requirement for transition components of the IEP and IDEA 2004. 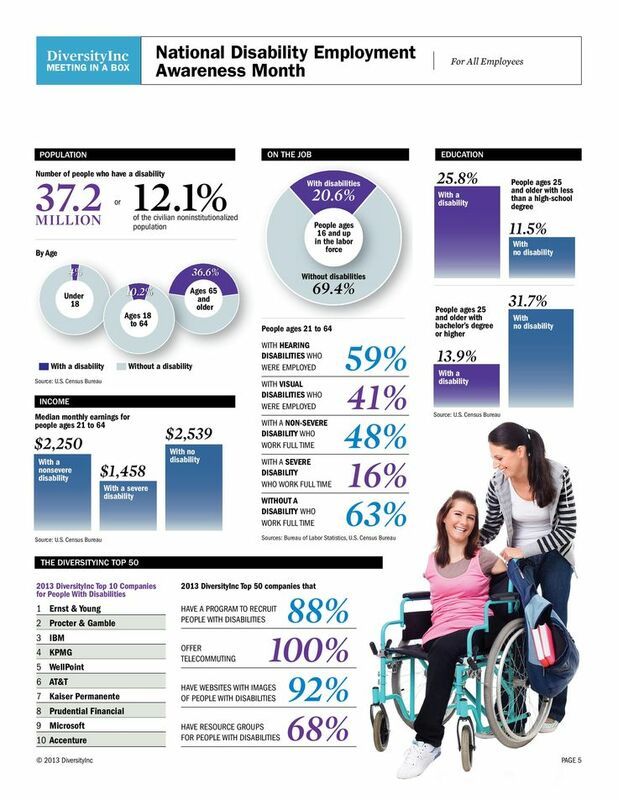 Only 20 percent of the labor force with disabilities are employed. 59% of the people with hearing impairments were employed. 41% of people with visual disabilities were employed. 16% of people with severe disabilities work full-time. 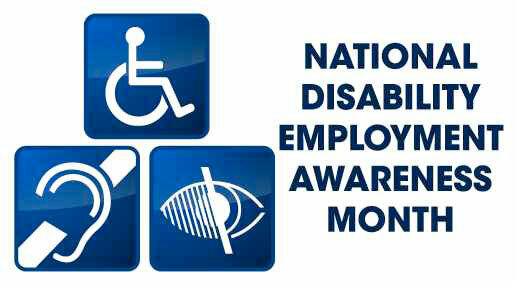 What can you do in your organization to recognize National Disability Employment Awareness Month? Conduct a training on disability history. 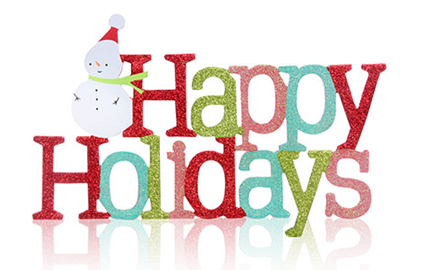 The Special Needs Blog wishes you and yours a happy holiday!